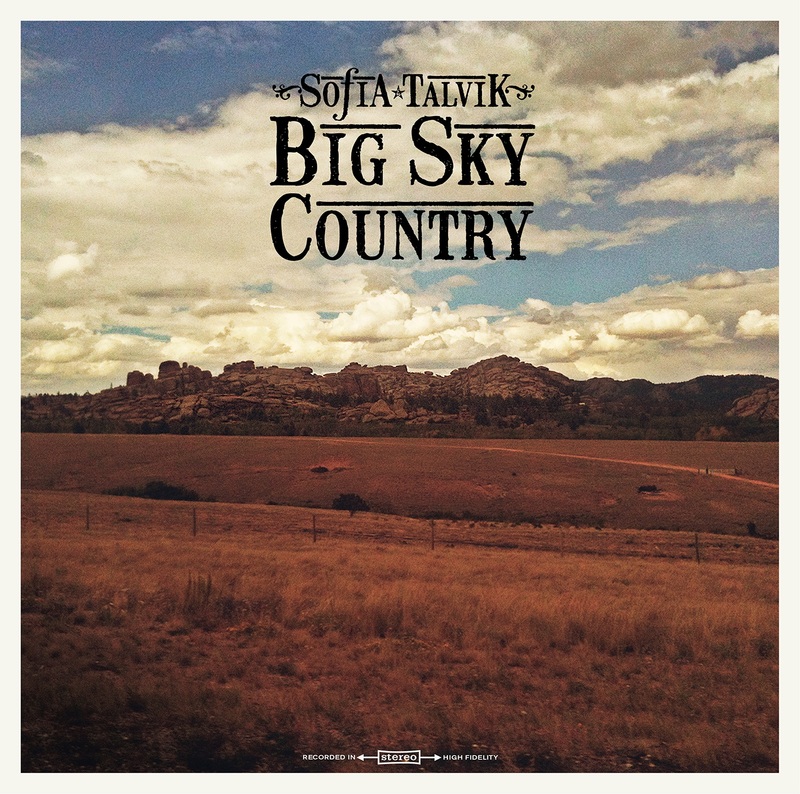 Big Sky Country, Sofia Talvik. Talvik’s angelic voice and folk/pop fusion remind me of the Sundays’ Harriet Wheeler and also of the early Marianne Faithfull. She first caught my attention with “A Long Way Home,” an addictive single with a lyric about coming home for Christmas that incorporates a sad surprise ending. You’ll discover more such gems on this program of originals (with the exception of Buffy St. Marie’s “Starwalker”), which reflects the Swedish singer’s adventures during a 37-state, 16-month U.S. tour. The title cut, for example, finds her raving about the Blue Ridge Mountains, San Francisco and Texas while proclaiming that nothing compares to the big-sky country of Idaho. If you agree with my assessment that the album is consistently strong, you’ll want to move on to Drivin’ & Dreaming, a fine live set from 2013, and The Owls Are Not What They Seem, an equally seductive 2012 studio collection. The Faster It Goes, the Railsplitters. The genre-bending Railsplitters offer a built-to-last follow-up to their debut, which garnered high praise from these quarters. The quintet’s music remains steeped in bluegrass but weaves in elements of jazz, folk and pop. Chief strengths include the songwriting talent of banjo player Dusty Rider, the live-in-the-studio-sounding production and vocalist Lauren Stovall, whose work on songs like “Seasons” and “Tell Me” conveys vulnerability and passion. Midnight Mist, Voo Davis. There’s rarely a dull moment on this third CD from the Chicago-based Davis, which weds his soulful vocals to crackerjack Southern-rock slide-guitar work. On the best tracks here, it almost sounds as if Otis Redding has met up with the Allman Brothers. Silver Line, Chuck Hawthorne. It’s hard to believe that this is a debut album or that Hawthorne—who appears to be in his 40s—lived as long as he did without making a record. He finally entered a studio only because he ran into blues singer/songwriter Ray Bonneville in an airport. The two talked about music and Bonneville asked Hawthorne to email him a few songs. Bonneville listened and replied that it was time to “discuss your record.” This Bonneville-produced folk/country outing is the result, and it’s a winner. Hawthorne’s rich vocals are front-and-center throughout, and story songs like the title cut, “Rough Luck” and “Leaving Amarillo” (the latter featuring folksinger Eliza Gilkyson) sound like instant classics. Starlight Highway, Corinne West. The title track on this self-produced latest CD from California-based singer/songwriter Corinne West is up-tempo, but the bulk of the program is as laid-back as anything in the Nick Drake catalog. West’s songs are lilting and dreamy and her intimate, country-flavored folk performances seem to float through the air like feathers. Pulling Your Sword Out of the Devil’s Back, Brock Zeman. This is the 11th album from Ontario, Canada-based Zeman, whose inventive, evocative lyrics sometimes prove as quirky as this CD’s title. His gravelly vocals evoke a cross between Tom Waits and Dr. John. On songs like “Don’t Think About You Anymore,” he combines strong melodies with lines that sound as personal as diary entries. True & Blue, Hans Theessink & Terry Evans. Mississippi-based Terry Evans teams with veteran bluesman Hans Theessink for a live acoustic concert in Vienna, Austria, the latter’s home turf. Both are superb guitarists and soulful vocalists with roots in Delta blues. The diverse program here includes a reading of Chuck Berry’s “Maybelline” that incorporates an arresting guitar solo; and a warm, bouncy version of Lead Belly’s classic “Bourgeois Blues” with infectious call-and-response vocals. Elevator Man, Scott Ellison. Blues imbue the 13 tracks on this disc, but there’s also enough rock and roll influence so that you won’t be surprised to learn that vocalist and guitarist Ellison has worked with 1960s acts like the Box Tops, the Coasters and the Shirelles. His sandpapery vocals are compelling but his consummate instrumental work is what had me coming back for more. The Earnest Lovers Sing Sad Songs, the Earnest Lovers. This six-song, 21-minute EP introduces Pete Krebs and Leslie Beia, a duo with roots in country and branches in the folk world. The sprightly music recalls the Bakersfield sound (Buck Owens et. al) but also the harmonies of contemporary pop/folk acts like the Kennedys. Beia is a particularly strong vocalist and the album’s polish belies the fact that it was recorded “almost entirely live” in just three days.